Actually it was more like Parras to Viesca and back. This is from memory as I’m safely back home in the UK. The 238 images taken at 6 stops and the locations marked on Google Earth provide a wonderful aide memoire. 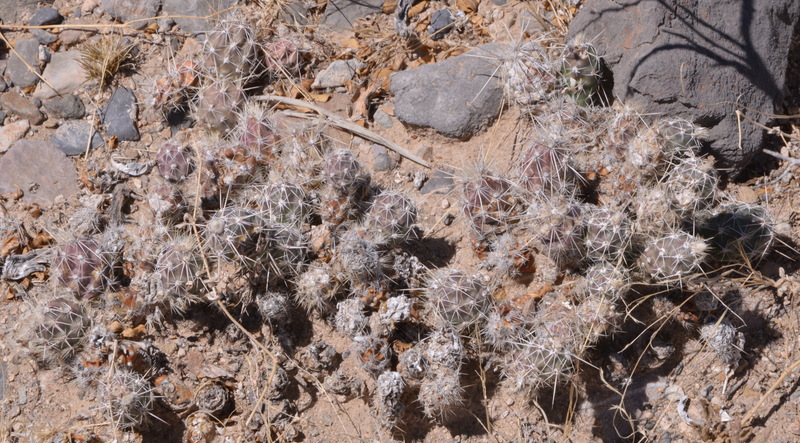 Echinocereus horizonthalonius, Echinocereus engelmannii, E. enneacanthus, E. longisetus, Epithelantha micromeris, Euphorbia antisyphalitica, a.k.a. as ‘Candililla’, which here is harvested and appears to be heated / burned in a process to extract oils and wax. It is also sold in the southern USA as a landscape plant. Fouquieria splendens is another desert plant that is so common that I often forget to mention it on my lists. 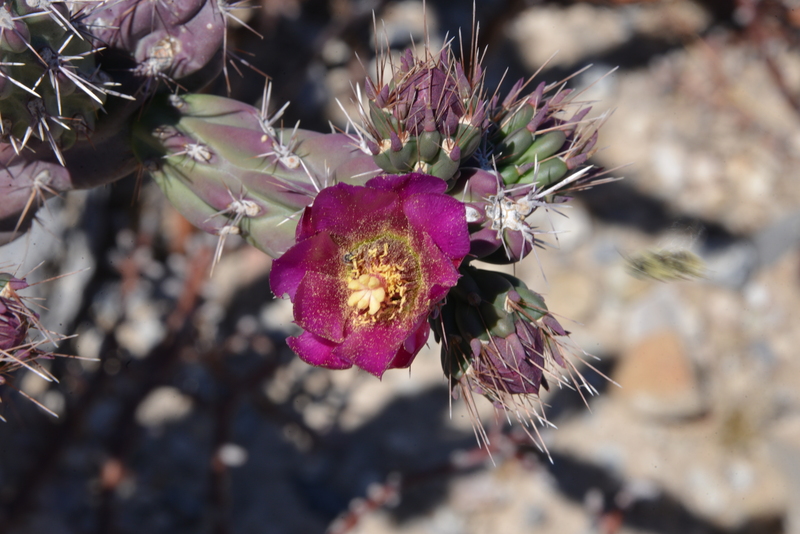 Here it appeared in my pictures because of a white spined form of Ferocactus hamatacanthus at its base. Sclerocactus uncinatus was spotted again and Thelocactus bicolor deserves a mention as this is a Thelothon. S3081 was the Viesca Parque on the outskirts of town. This had been a rubbish dump when we visited in 2010, now everything had been tidied up with basketball courts and five aside soccer pitches as well as well maintained swings, slides etc. Unfortunately many of the ‘special’ cacti had gone as well. 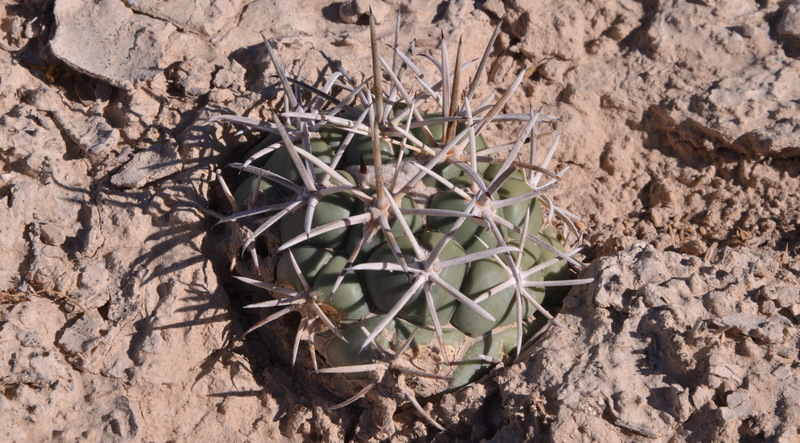 We had again come to look for Lophophora fricii but failed to find it at the coordinates in my database, now over ten years old. S3082 was a last ditch attempt at km 8 on the way home to find L. fricii. We were tired, very hot and suffering from snow blindness in a pure white chalk dust landscape. I took just three images.